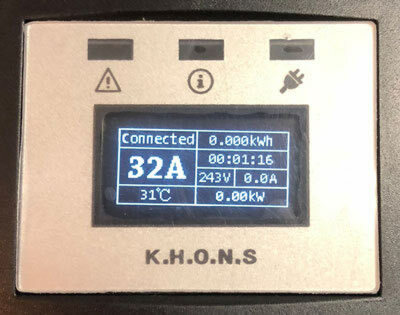 The KHONS EVSE is dual voltage EVSE, it can be plugged into 120 or 240 VAC. On 120VAC it can output up to 12A, on 240VAC it can ouput up to 32A.It comes with a 14-50, 240VAC plug, Contact me for the different plug adapters, i.e.- for the household 5-15, 120VAC outlet. 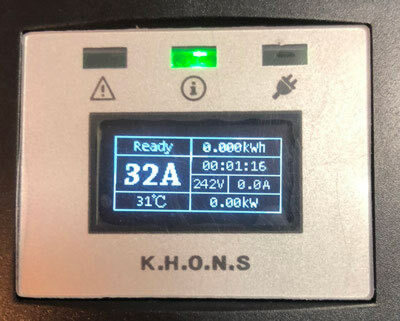 It has a digital display that provides clear information for the charging Amps, kWh used, time charging, volts and amps charged, temp of the EVSE and kW charged. box 3 times or more left and right. 3) Check that the display shows the correct parameters. 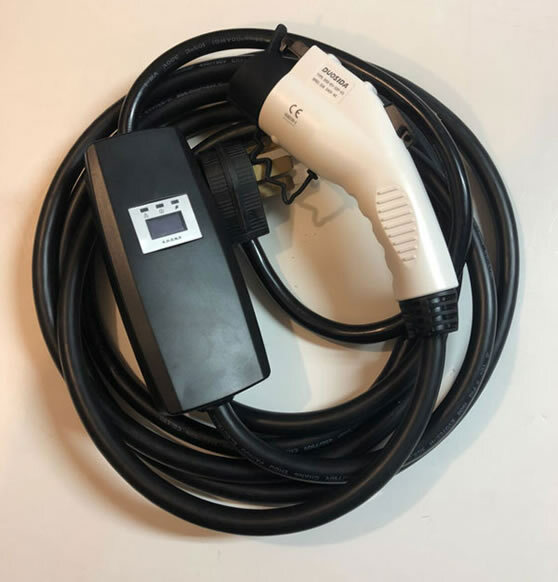 4) Connect EVSE Plug to EV charging port in car. Price is $350, US shipping is included.